Hardware, network and power failures can cause severe file corruption. One of the most severe is corruption of the detail file. When processing charges and payments, you might receive the error "Detail File Error" or "Detail File Update Error". Typically, this error only affects a single guest or folio. This error also can occur (rarely) in City Ledger (Direct Bill). 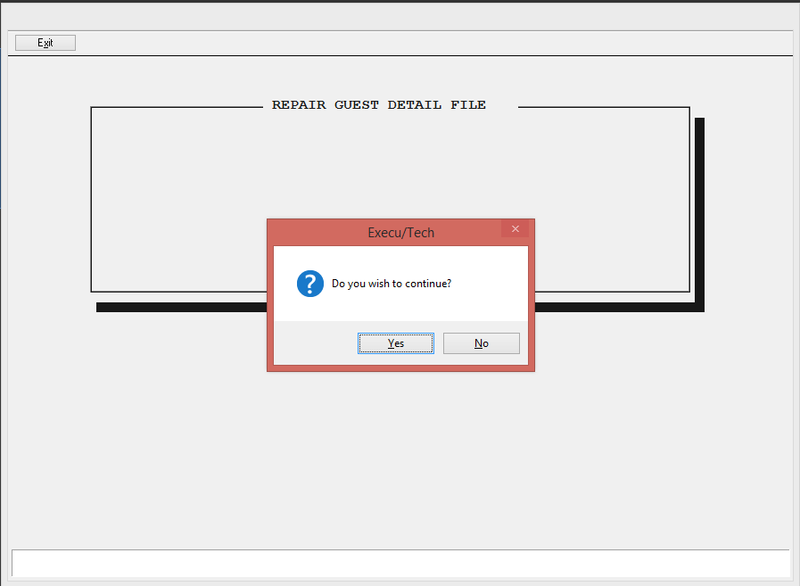 You must make a backup copy of this file before attempting this fix! This file is located in the Execu/Tech software installation folder. The file is "GAGDET.FIL"
It's possible that data will be lost during the repair. Records with bad pointers can't be fixed, unfortunately. However, this typically only affects the guest or folio experiencing the problem. Make a backup of the file "GAGDET.FIL"
After selecting this option you'll see a small window with a field to type a program name. This is where you type "GAGDFIX". 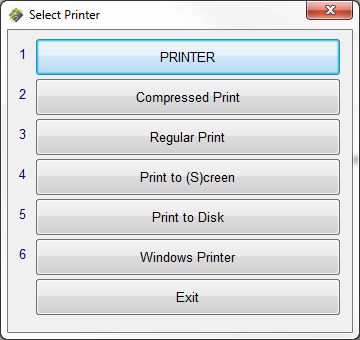 After typing "GAGDFIX" in the field click OK. You'll be asked to select a printer and you should select the first one in the list. Nothing will be printed but you must select a printer to continue. 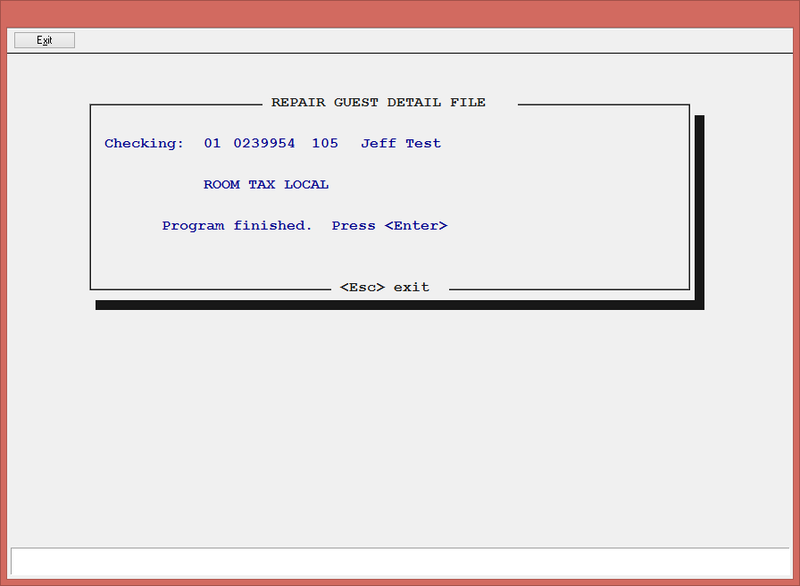 After the printer selection menu, you'll see the Repair Guest Detail file utility. Click "Yes" to continue with the repair. When it completes, you'll see this message. Press "Enter". Try the procedure that was causing the error and see if it's been fixed. When you get a message "DETAIL FILE UPDATE ERROR" in City Ledger (Direct Bill), click OK or press Enter. Log everyone out of City Ledger. Back up all AR*.FIL files. Then go to File > Special > Run Program by name. Type ARDREBLD and press Enter. When the printer selection menu opens, just press Enter.